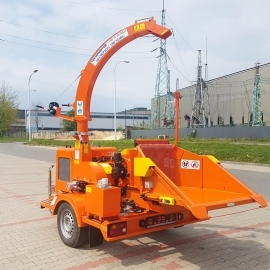 SKORPION 250 L chipper is a universal machine dedicated to municipal and road companies which can be very conveniently used on urban areas and on roadsides. 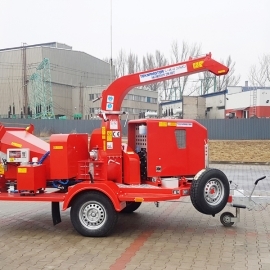 Thanks to the chipper’s construction it will also be suitable in forestry sector where the machine’s rotatable body will make loading of branches into the chipper’s throat easier. 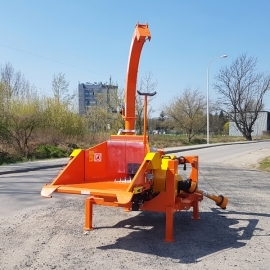 A maximum diameter of ground branches can come to 20 cm and the chipper’s throat with dimensions of 420 mm (width) and 255 mm (height) makes Skorpion 250 L ideally suitable while grinding tree trunks and extensive branches. 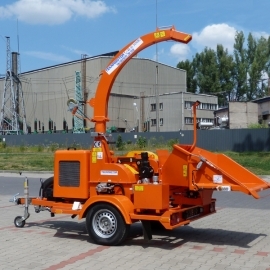 The drive system in Skorpion 250 L chipper consists of a three-cylinder diesel liquid cooled engine by Lombardini (power 40.1 HP). 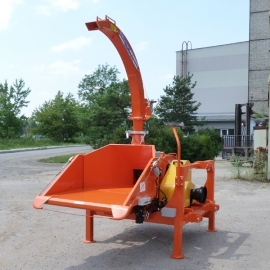 In standard option the chipper’s engine is covered by a bonnet of “silent” type. 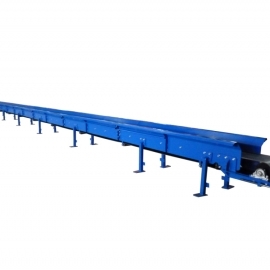 Such mounting is characterised by a low level of noise emission and engine vibrations. 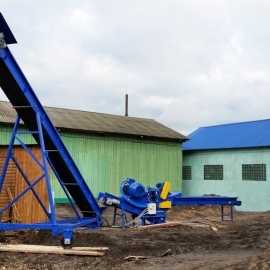 Therefore, the device can successfully work on built-up areas. 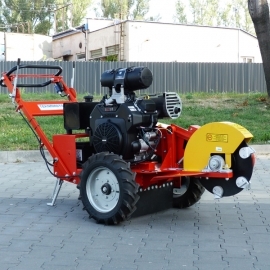 To maintain several-hour continuous work of the chipper it is equipped with a fuel tank with capacity of 40 l. The chipper is fitted with a friction coupling clutch whose task is to disconnect engine’s drive from a cutting disc to be able to start up the engine smoothly. 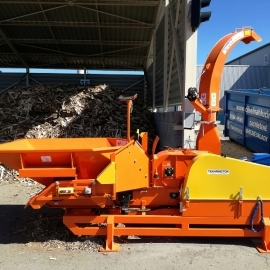 In Skorpion 250 L chipper the cutting system comprises a disc equipped with two cutting blades, cooperating with two supporting blades. 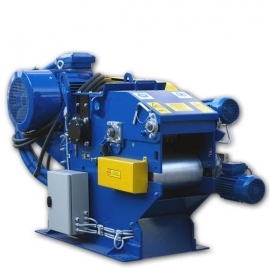 Life of cutting blades has been optimised by their double-sided sharpening, which allows rotating them by 180o and consequently they can be used twice as long. 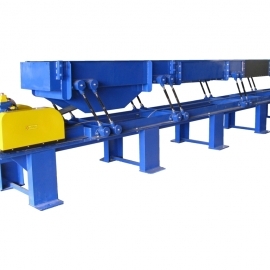 All the blades are made of appropriately selected tool steel and are subject to professional heat treatment. 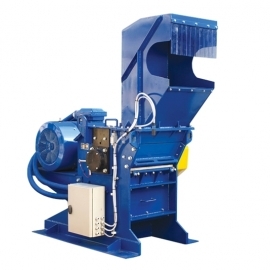 Additionally, the chipper’s disc also serves as a fan and ejects the produced chips through the ejection tube, which can be positioned in any direction at a full 360o radius. 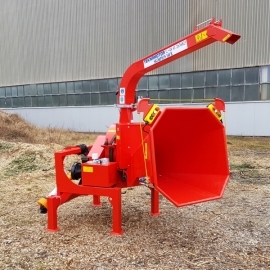 Skorpion 250 L chipper is fitted with a turntable which makes it possible to rotate the machine’s body up to 270o and position branches in wood storage places for chipping. 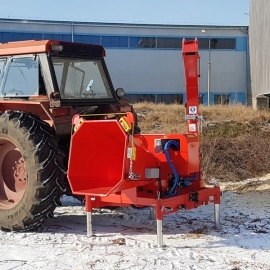 The material feeding system consists of a system of two feeding rollers driven by separate hydraulic engines from a hydraulic pump installed on the chipper. 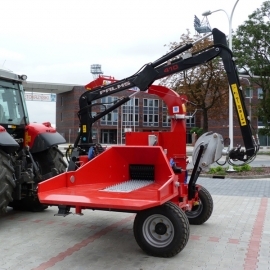 Safety for the chipper’s operator is ensured by an emergency stop cable which stops the hydraulic feeding system by pulling the cable in any direction. The system is unblocked by pressing the “Reset” button. 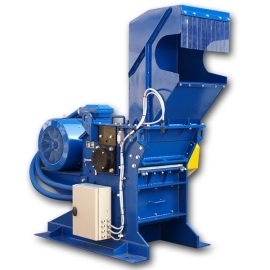 Afterwards, to return to the working cycle of the chipper (material feeding) the “Forwards” button must be pressed. 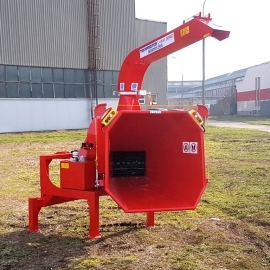 The feeding system is also stopped by pressing the “EMERGENCY STOP” button. 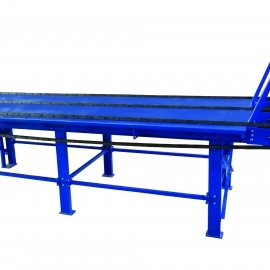 In standard option it is equipped with one of the latest electronic No-stress systems available on the European market which automatically prevents overload of the drive system by temporarily stopping the feeding system. 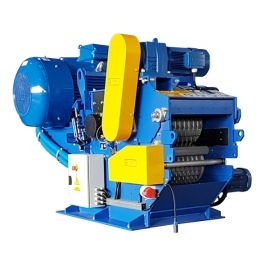 Editable software of the No-stress system preventing overload makes it possible to change the machine working settings in a simple way and adapt to individual needs. 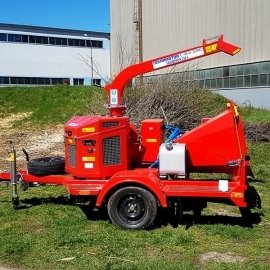 The “thick wood” / “thin wood” program enables quick change of the chipper’s working mode to adapt to currently ground material and more effective work of the chipper. This system has an embedded counter of hours of operation. 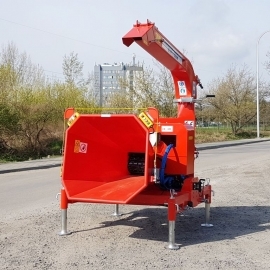 Skorpion 250 L chipper has obtained a European approval which allows registering the machine and entering it into service in road traffic. 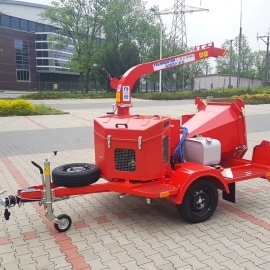 The chipper is fitted with an overrun and parking brake, LED road lighting and overrun device (tow bar) with adjustable height of coupling. 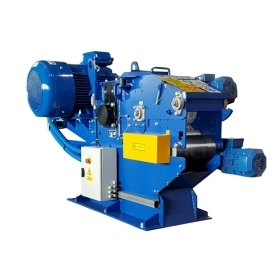 Also a coupling ball or DIN eye is accessible. 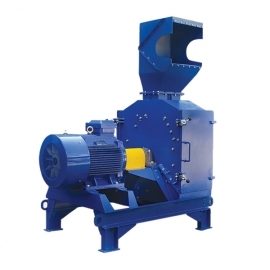 Chips produced in the chipping process may be used for direct combustion in furnaces, for production of compost, for decoration purposes and after secondary grinding by a hammer mill as raw material for production of briquette and pellet.